Monday – Friday 9 a.m. - 12 a.m.
Monday - Friday9 a.m. - 12 a.m. 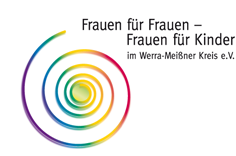 The Center for Women - and Women for children in Eschwege has been offering help and helpful advice for women and children for the past 20 years. Violence is not an individual fate! - You do not have to cope with this difficult situation by yourself! In the Women's Shelter mothers and their children will find refuge and protection from domestic violence. We have 3 apartments with one to three rooms available. Each family will have their own room. Our employees are biased and on the side of the women in our shelter. We are bound to confidentiality. In desperate situations and the need to move into the women's shelter immediately, our staff is reachable at all times under this Telephone # 05651-32665. To secure safety and protection the Women's Shelter's address is not published. We will arrange a meeting point. Allerleirauh Counseling Center for sexually abused children and adolescent. Counseling sessions are of no charge. It is possible to bring a confidant. Support for sexually abused children and female adolescent. Counseling for parents and other persons of trust. Counseling and further education for pedagogical specialists.